Wouldn’t It Be Great If Market Timing Worked? Market timing may not work. But it sure fills airtime. The market climbs two hundred points, turns around and drops three hundred points the next day, then reverses again and locks in another multi-hundred point move. Talking heads on CNBC claim to know where it’s going. But do they really? Is foretelling market movements the sign of a market pro? Or just the pitch of a glorified snake-oil salesman? 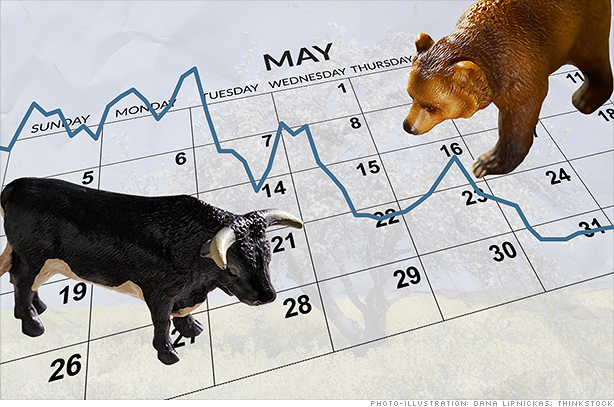 For most people, it’s hard to resist the lure of market timing. Sell when it looks like the market is getting ready to dive. Buy when it’s poised to rebound. Believe it or not, thinking you can predict where the market is going is probably the easiest way to tell the real pros from the armchair amateurs. Investment pros know you can’t successfully – and consistently – time the market. “Many seasoned investors, including Warren Buffett, argue that it’s a big mistake to shift radically in and out of stocks based on nothing more than an educated guess about what the future will bring,” says John Kimelman, writing for Barron’s. But many investors, and the media, love the mystique of market timing. Cynics would say it sells papers. “If publications, websites, and television networks simply told investors to buy and hold, with periodic rebalancing, it would be that much harder to fill pages and airtime,” says Kimelman. Market observer Mark Hulbert, who has tracked the performance of investment gurus for over three decades, found that less than one-quarter of the pundits he follows turned a profit in the five plus years from 2007 to 2013, and none was able to call market tops and bottoms. Everyone makes a correct call on occasion, he explains, but the trick is knowing when to get out and then when to get back in. “The knock about market timing is that you have to get out at the right time and then get back in time near the bottom,” Hulbert says. “Even among those few who get out at the right time, they don’t get back in at the right time.” That makes their investment results worse than doing nothing. The Takeaway: What does work? Determine the asset allocation that meets your long-term needs, then stick with it, rebalancing periodically. Tune out all the market noise, and keep your cool when markets get rocky. If you can’t do that on your own, get a real pro to help. There’s no such thing as a market-timing magic wand, so don’t lose sleep looking for it. The real magic is starting early, saving regularly, spending carefully and investing thoughtfully. ← Congratulations to AFA Associates Rachael Grattan and Stephanie Cooper!